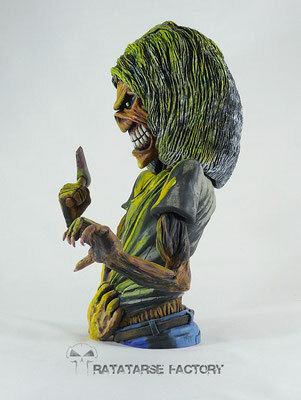 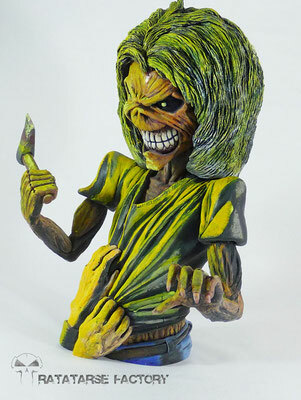 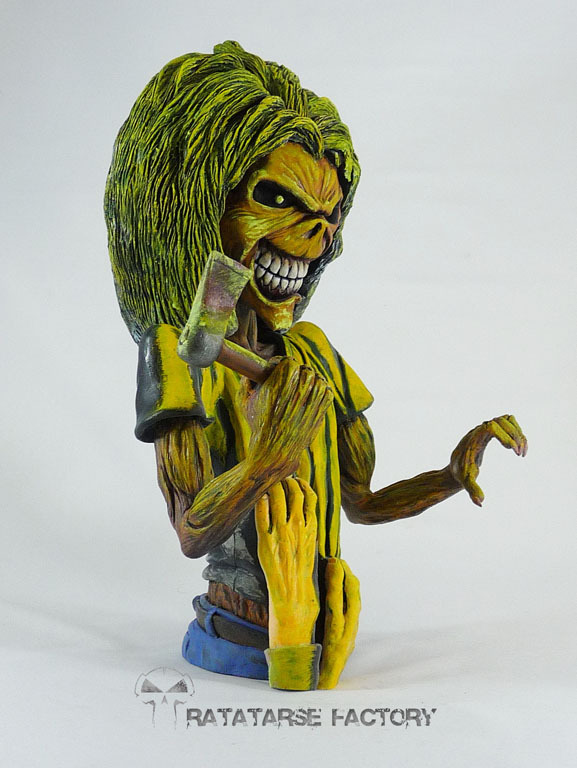 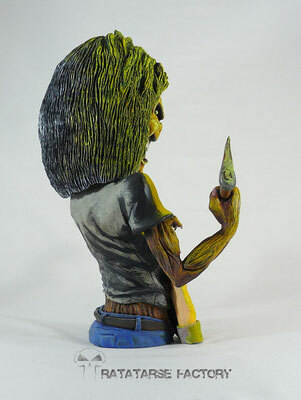 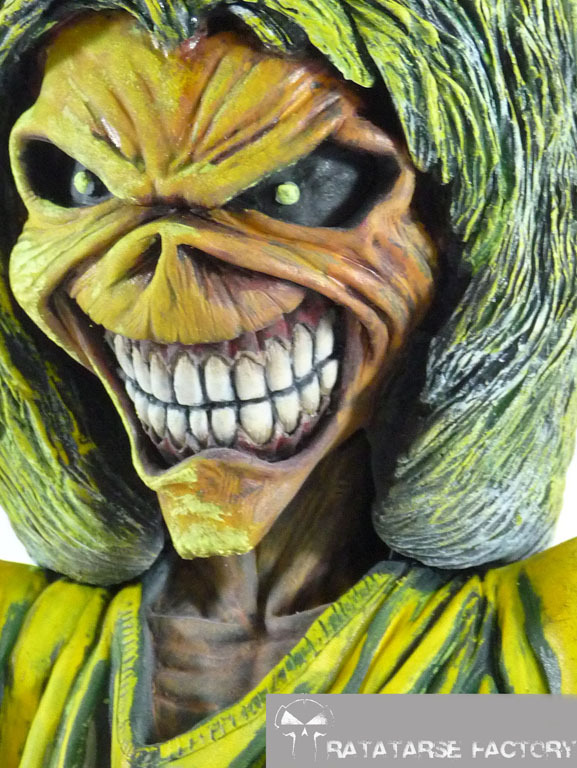 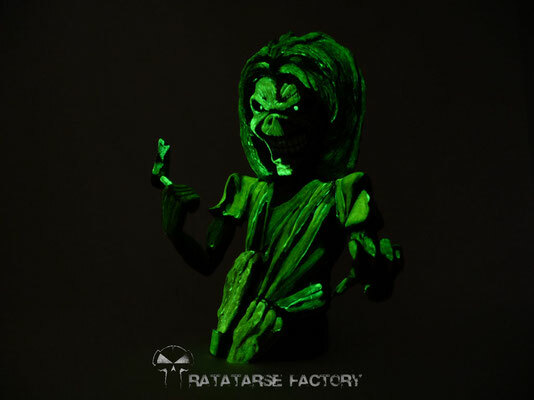 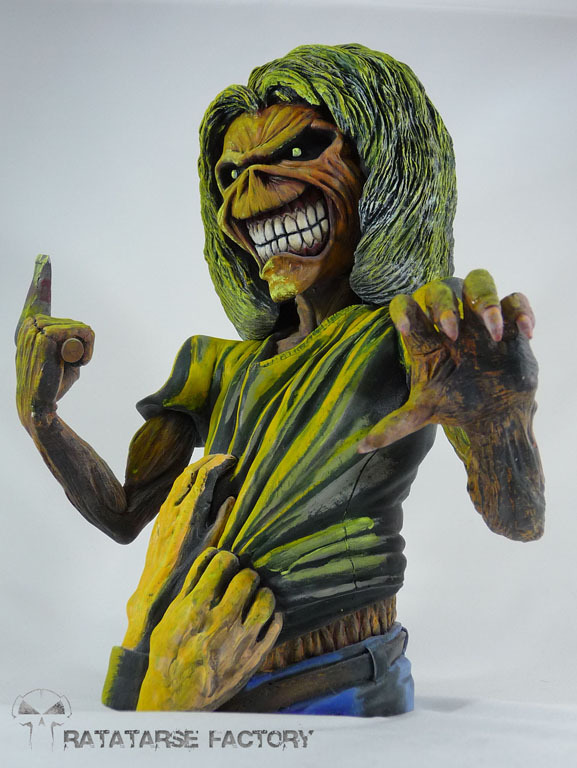 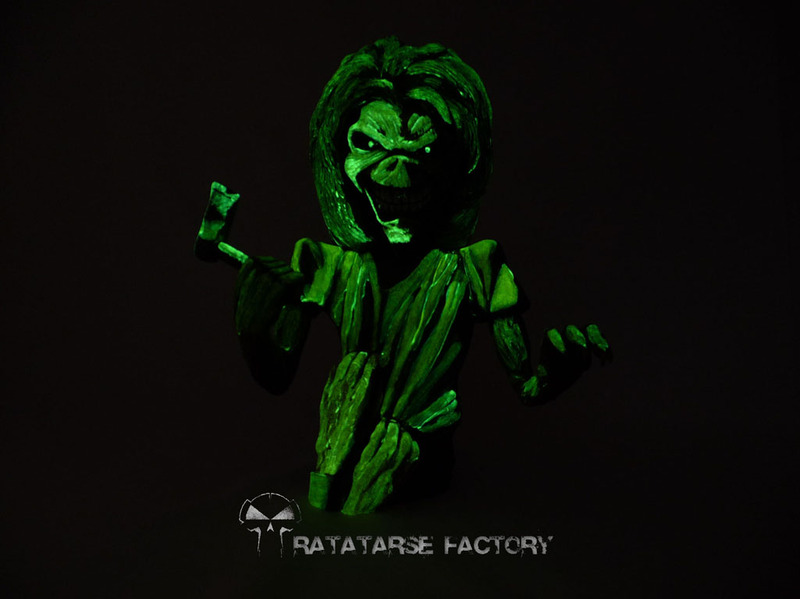 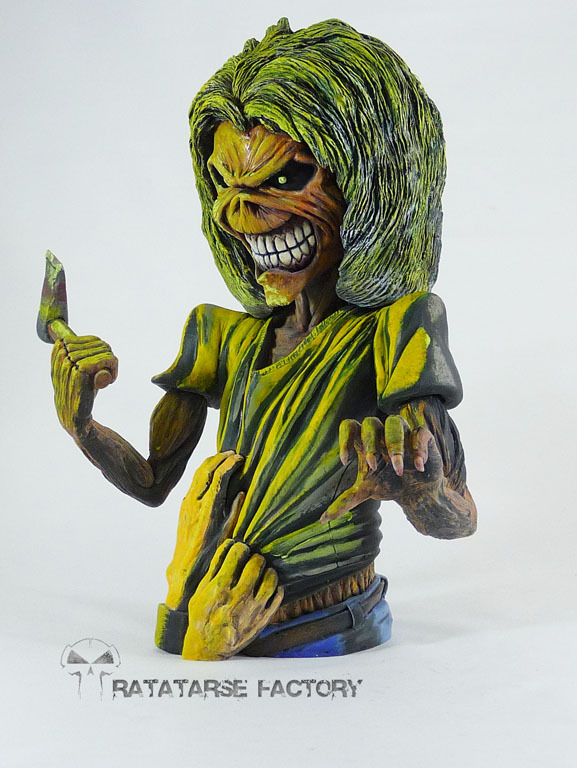 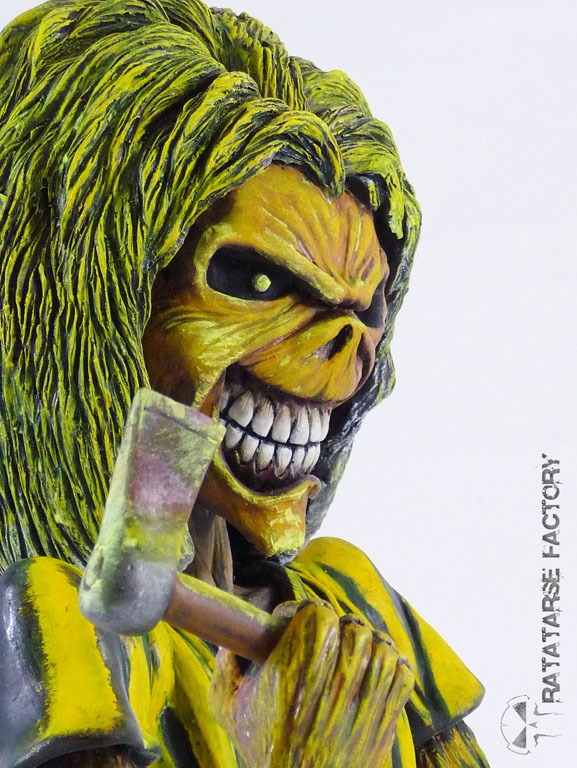 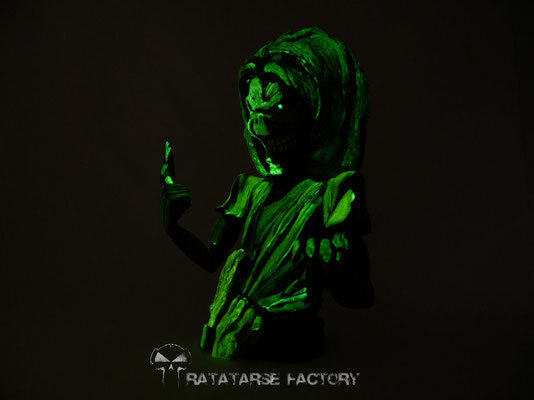 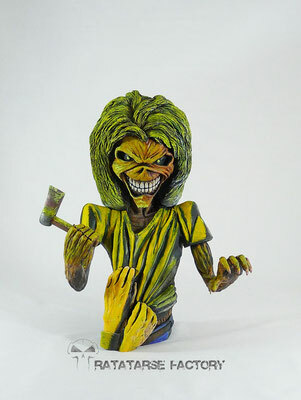 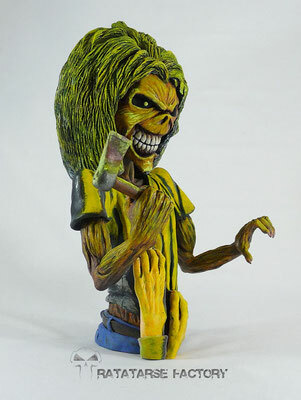 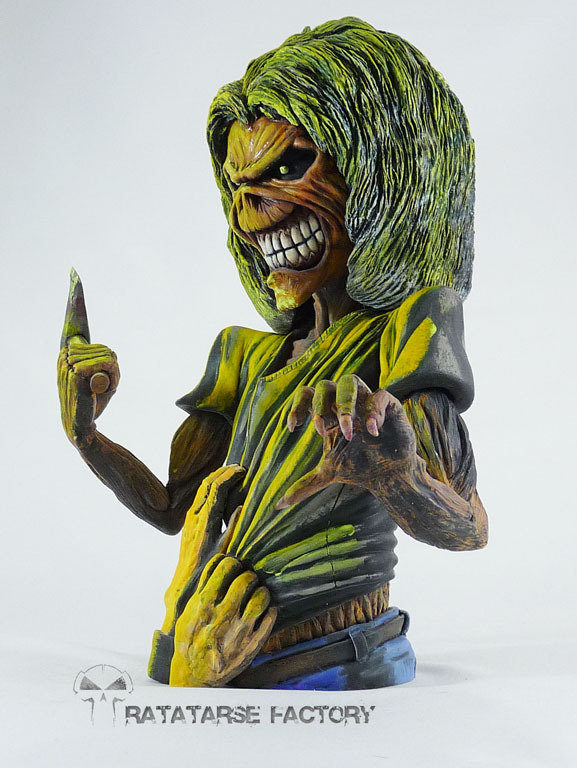 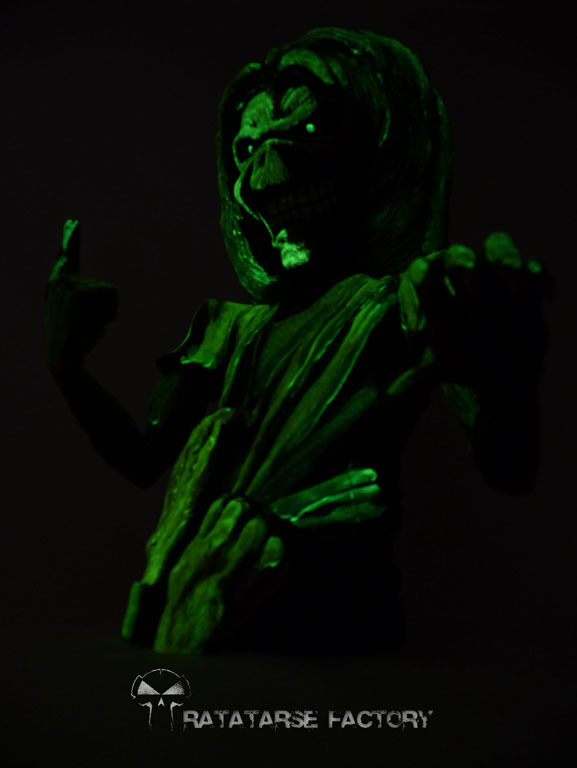 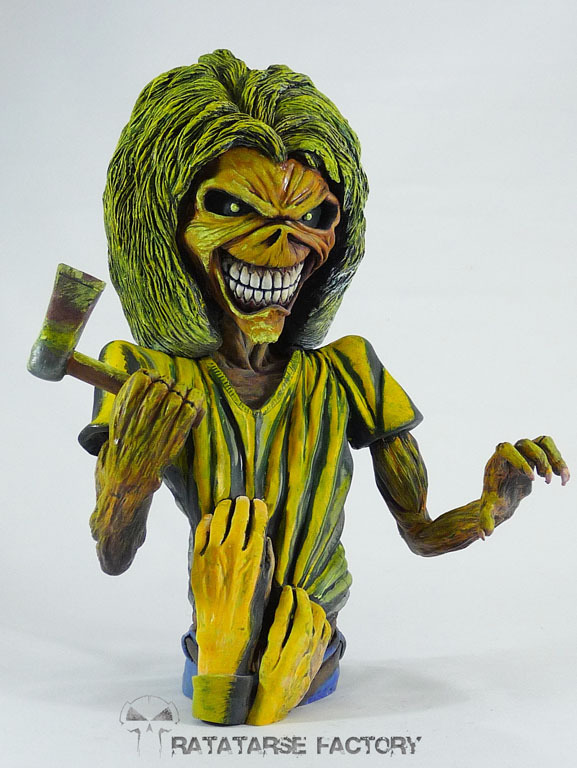 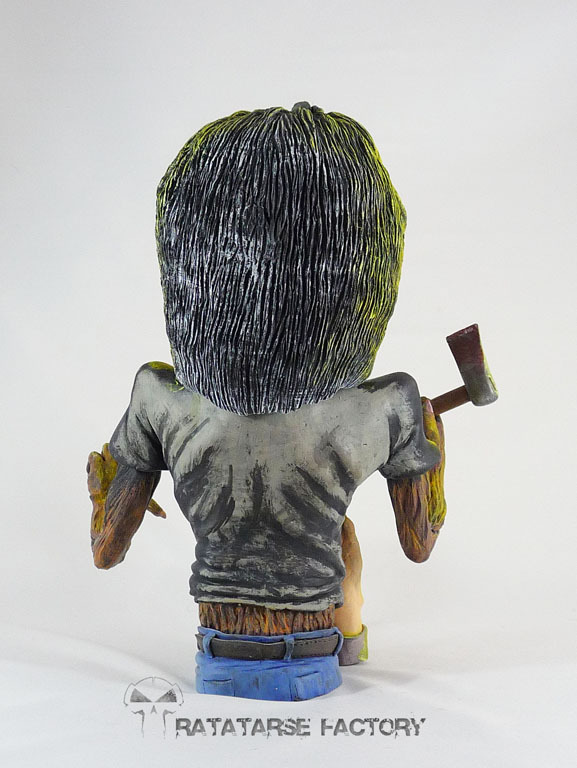 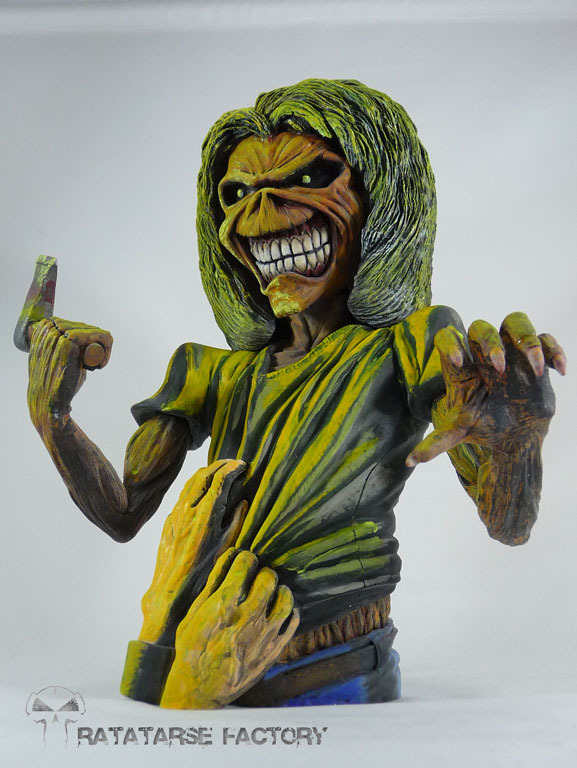 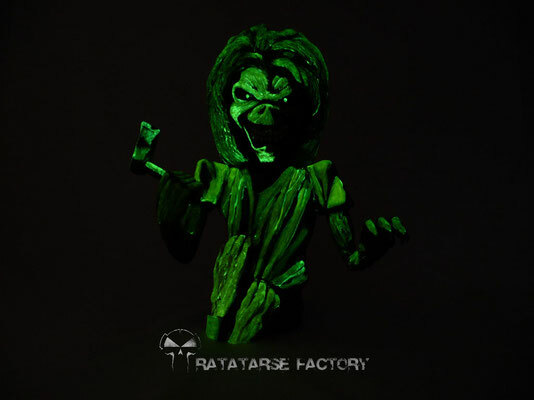 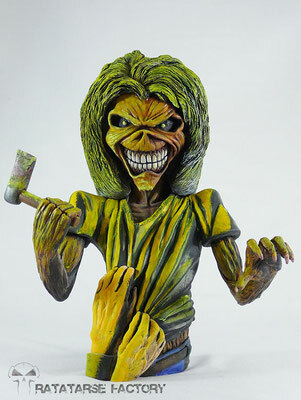 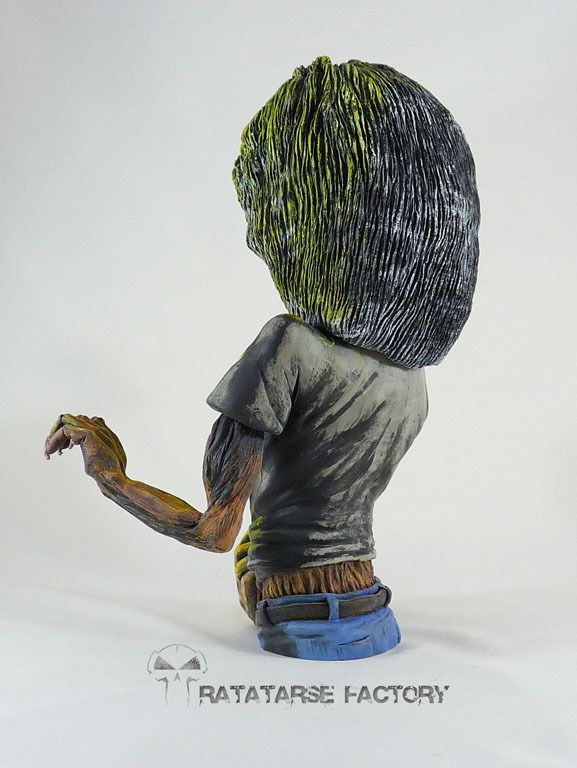 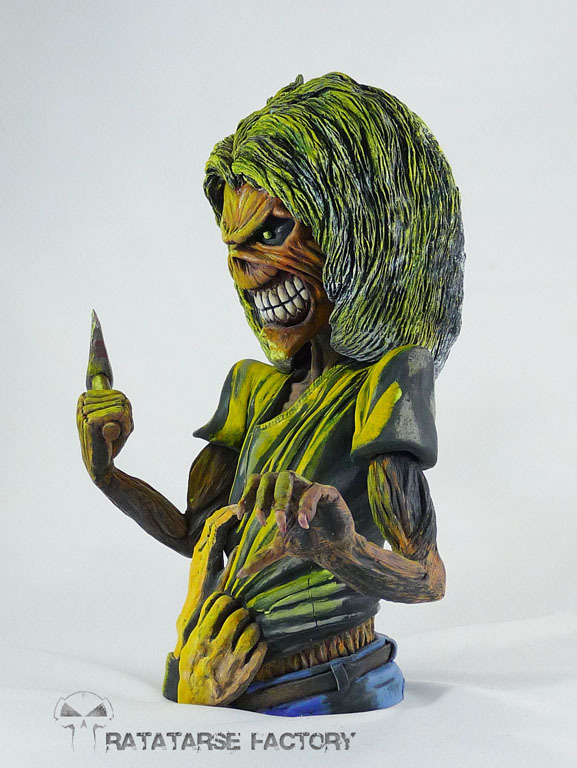 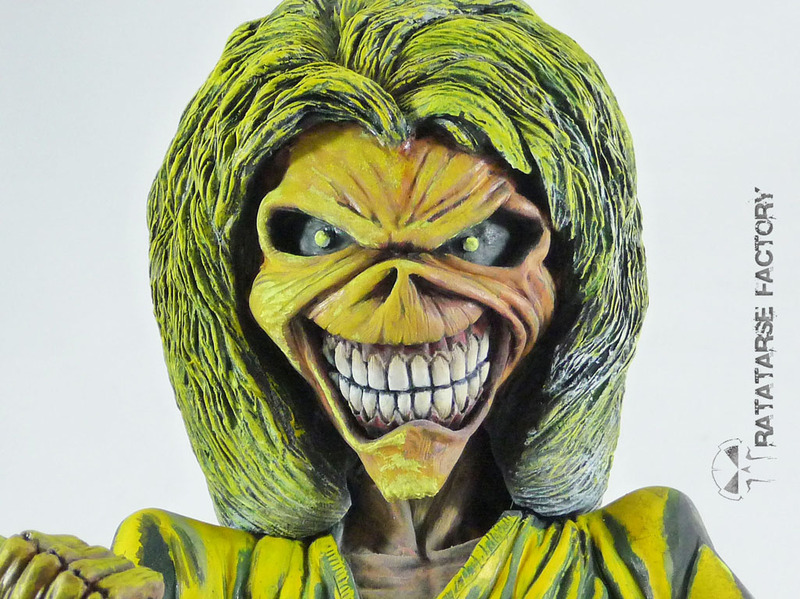 Iron Maiden's "Eddie The Head"
Sculpted by Andy Cope (the one and only, the one who sculpted Cavey too), this SD bust is quite 25cm in height and depicts the appearance of Eddie the Head, the mascott from Iron Maiden (the Heavy Metal band) like he is on band's second album : Killers. 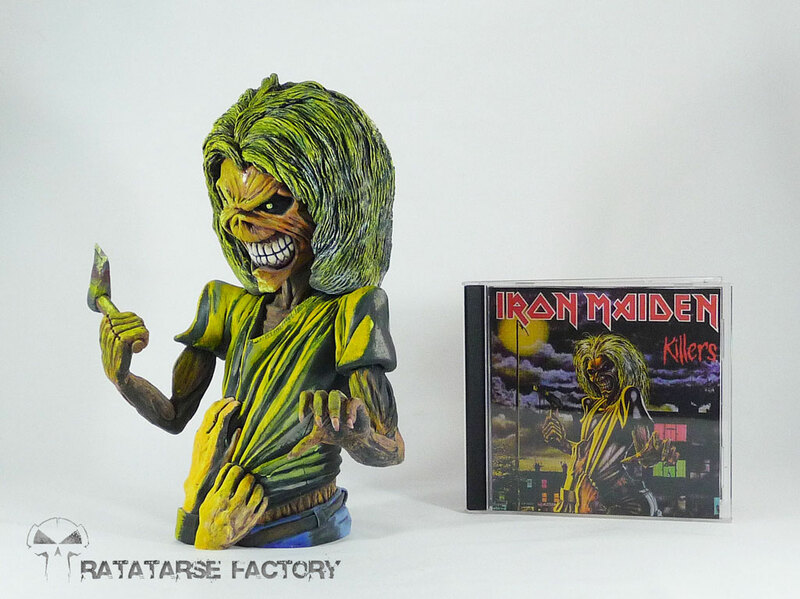 This is also one of my favourite albums, but this time I made this bust as a present for a very good friend. 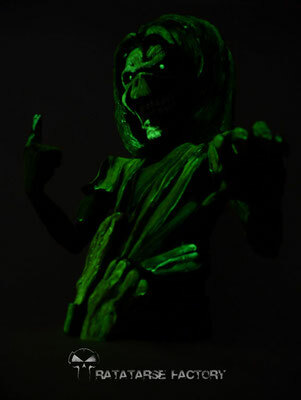 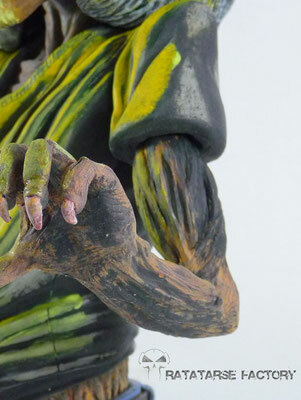 Painted with acrylics only, and phosphrescent paint to glow in the dark... that's the second "kiss cool" effect !